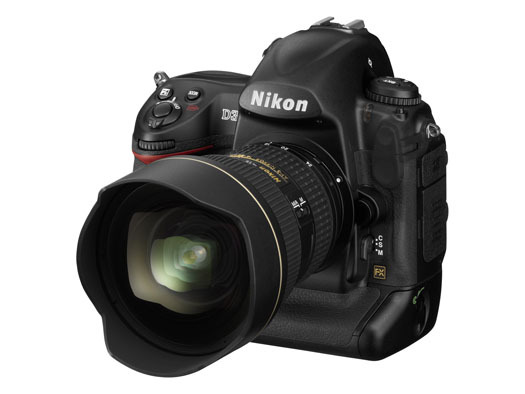 On August 23, 2007, Nikon introduced two new DSLRs to the market: the full frame D3, and the D300, an upgrade to the D200. 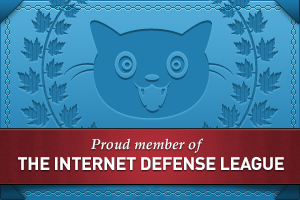 I’m late with this bit of news — I meant to publish the post sooner, but I was out of the country and I had less access to the internet that I’d hoped. Still, since I went to the trouble of getting nice studio pics for the two cameras, I thought I’d write about it anyway, late or not. First, a few photos. 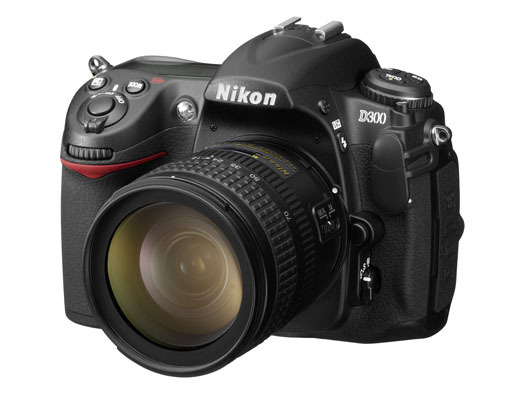 There’s the D3 below, and the D300 is right after it. These two cameras have gotten plenty of coverage already. What else is there to be said? Well, remember the big CCD vs. CMOS arguments that went on and on for years? Hmm, let’s see, who was it that argued for CCD? Why, it was Nikon, of course. What have they just done? They’ve switched to CMOS entirely for their new DSLRs. 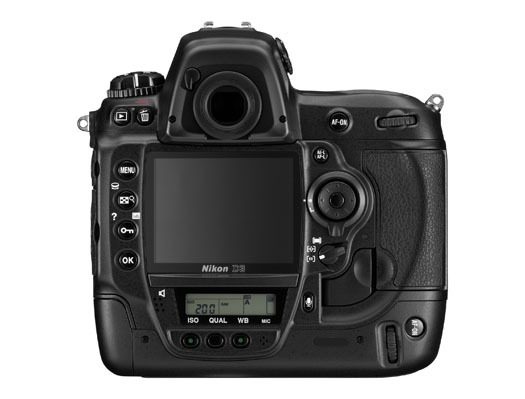 There was another argument thrown around, also by Nikon and its supporters. Um, yes, I remember now, it had something to do with full-frame vs. cropped sensors. I’m paraphrasing here, but Nikon people were saying something along the lines of “full-frame isn’t needed for digital, it’s useless — we can accomplish everything we want with a cropped sensor.” So, what just happened? 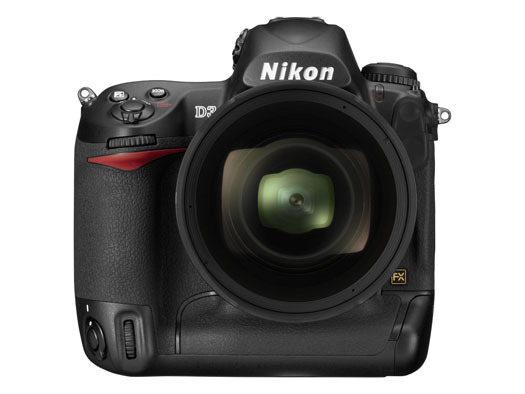 Nikon put out a full-frame DSLR. Short of holding my brother’s D70s in my hand, changing the lens, cleaning its sensor and taking a few photos, I don’t have a lot of hands-on experience with Nikon cameras. 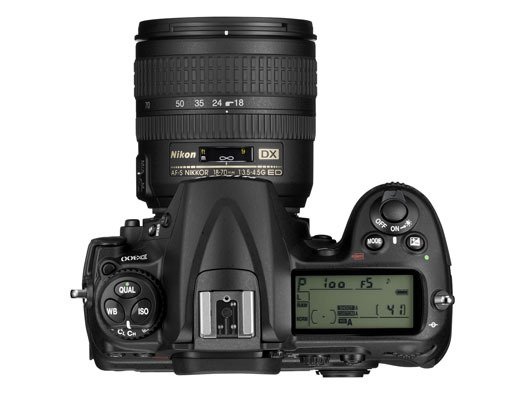 I considered buying the D200 this past spring, but opted for the Canon 5D instead. I can tell you what my brother says about his D70s — and believe me, it’s not flattering… It turns out there was a ridiculously high rate of factory defects with that camera, particularly when it came to autofocus. His camera can’t autofocus to save its life. He’s had to use manual focus ever since he bought the camera. He’s finally going to pay to repair it, after more than one and a half years of use. He’d have sent it to Nikon for repair while the warranty was still good, but there are no official Nikon reps in Romania, which is where he lives and works. We sat there comparing on-screen menus between his D70s and my Canon 5D. He couldn’t believe how easy it was to navigate the menus on my 5D, and to get the settings that he wanted, the first time, right away. He kept mumbling under his breath about how pathetic the D70s was, and how he could never find stuff when he was pressed for time. Heck, I tried to help him find the sensor cleaning mode and gave up after several minutes. We just couldn’t find it. We ended up putting the camera in mirror lock-up mode, pressing the shutter and cleaning the sensor that way. That’s pretty pathetic from a UI (User Interface) point of view. On the other hand, I’ve heard some people praise Nikon’s controls. I don’t get it. Perhaps if you’ve been a Nikon guy for years, the stuff is just easier to find, but they sure don’t make it easy for someone who picks up the camera and wants to use it. Canon does make it easy, and that’s one of the reasons I like them. There’s another thing I can say for Nikon in general. Their PR people gave me the run-around when I tried to get a D200 for review. On the other hand, Olympus and Canon were responsive and willing to send me review units. I’ve also heard of really bad customer support experiences from Nikon users. Take these experiences for what they’re worth. They may have been isolated incidents — or not. 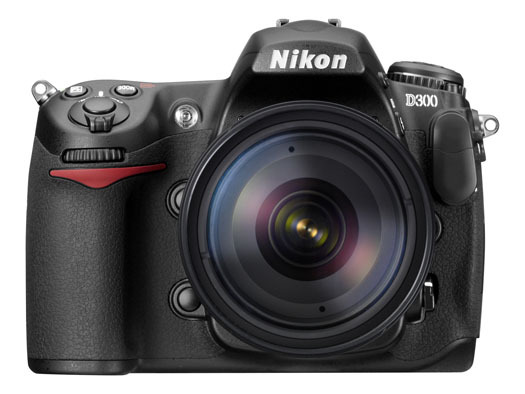 I’m certainly willing to forget my bad experience with Nikon PR if they are interested in sending me a D300 or D3 for review. I’ll do what I usually do, which is to use it as my primary camera for one month, then write an honest, detailed review of the experience. From a design point of view, these two new cameras look really nice. I can’t tell you how they feel in my hand, since I haven’t had the chance to hold them (yet). 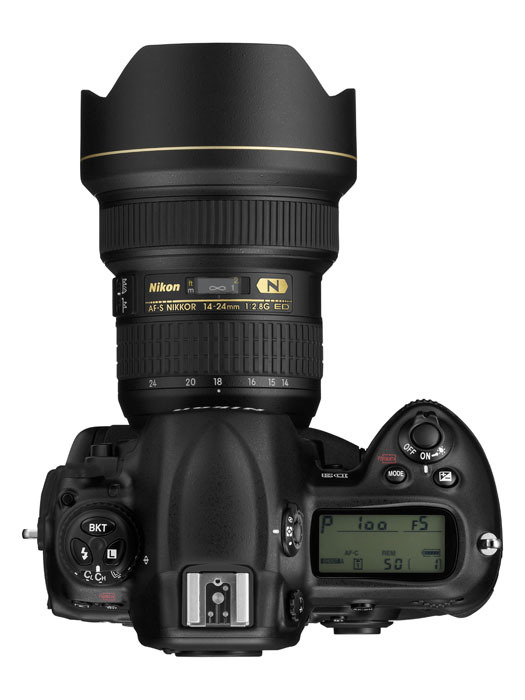 I do want to point out that Nikon has more high-res photos for its cameras than Canon. That’s nice. It gives people a chance to get a closer look at them, and it’s an added convenience. You can see the rest of the photos below. Here’s that troublesome CMOS that Nikon people used to badmouth in the past. 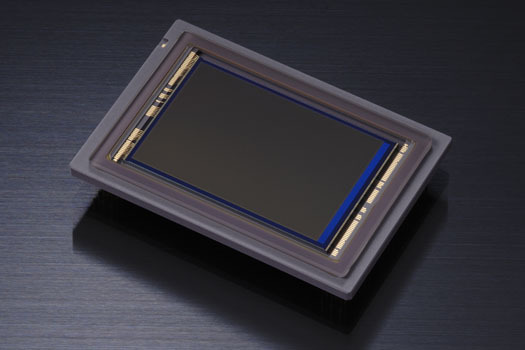 It’s the sensor that does what a CCD cannot, which is to enable Nikon to go all the way to 6400 ISO natively on the D3 and 3200 ISO on the D300 (and even all the way up to 12,800 and 25,600 ISO in expanded mode on the D3). Yes, ISO-wise, Nikon one-upped Canon, but they haven’t managed to get the same amount of resolution from the full-frame sensor that Canon can get. My 5D has roughly the same resolution as the D3 (12.8 vs. 12.1), while the Canon 1Ds Mark III has 21.1 megapixels — but only goes up to 1600 ISO natively. So there’s a certain give and take here that has to do with the physical limitations (at least to date) of the medium. If you squeeze more pixels out of the same surface area, the pixel pitch decreases and you end up more prone to noise. If you keep the pixel pitch large, you can get more low-light sensitivity, but you don’t have the resolution. 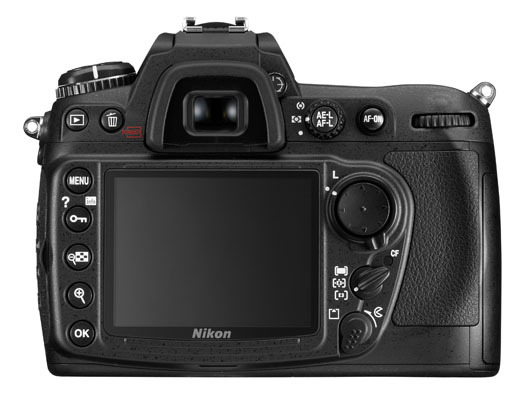 Nikon chose to go for low-light sensitivity with their two newest cameras, which I think is an interesting choice. Perhaps they did it to silence the Nikon critics who kept harping on their noise-prone CCD sensors. Whatever the reason, I’d love to see just how one of these two cameras does in low light with a nice fast lens like a 50mm f/1.4 or f/1.2.